NG Racing, ha publicado un interesante artículo en formato de revista digital en el que se revelan las puestas a punto y consejos del pentacampeón de España, Óscar Cabezas. The 2nd rd. 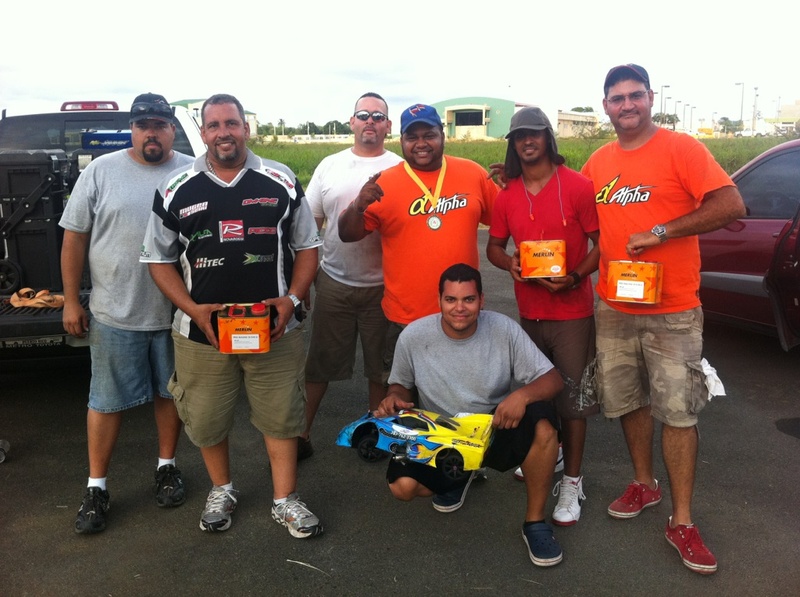 for Puerto Rico Championship Onroad Nitro Series, took place this weekend, with excellent results for Merlin Fuel users, 6 Merlin fuel users in the top 12. Congratualtions to Merlin Team Puerto Rico! Was a hard race, with temperatures over 35ºC, 50ºC on the asphalt and a high relative humidity. A hard test for engines and fuel. Oscar Cabezas (Motonica / Novarossi / Merlin Fuel) TQ’d and set a new track record. Elche track is small, but really fast. Laptime is just about 12 seconds. After winning the semi-final, Cabezas kept the first place during almost 30 minutes, closely followed by Sergio Montensinos, who managed to took the first place in the tire change. Oscar took again the first place after a few laps. A few laps later, Montesinos had glowpug failure, and Cabezas, who was driving with no brakes after a crash with Montesinos could set a comfortable and safe pace to finish the race in first position. 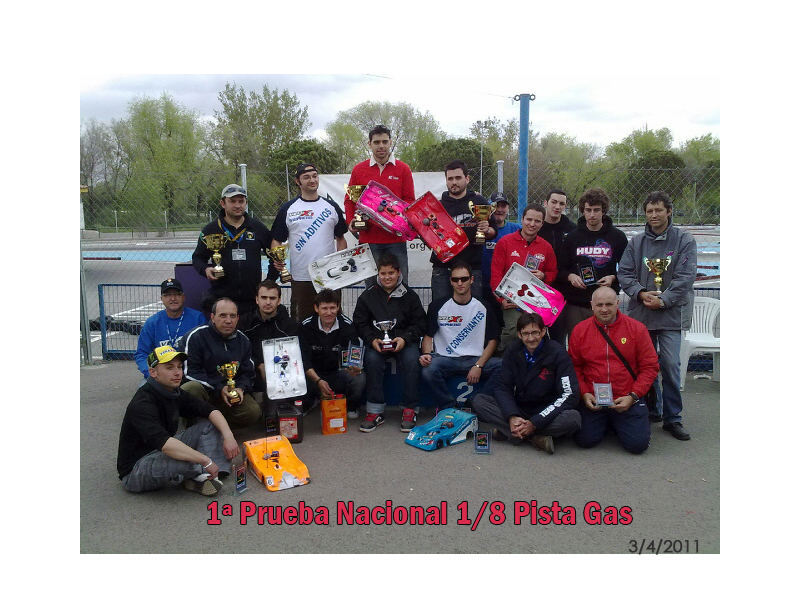 The 3rd Round for Spanish 1/8 Onroad NAts, took place in Vigo (Northwest Spain) last weekend. Drivers were not happy on Friday due to the rain. saturday was expected as a rainy day again. However, before the afternoon, the sun finally appeared to dry the track and let the race go. 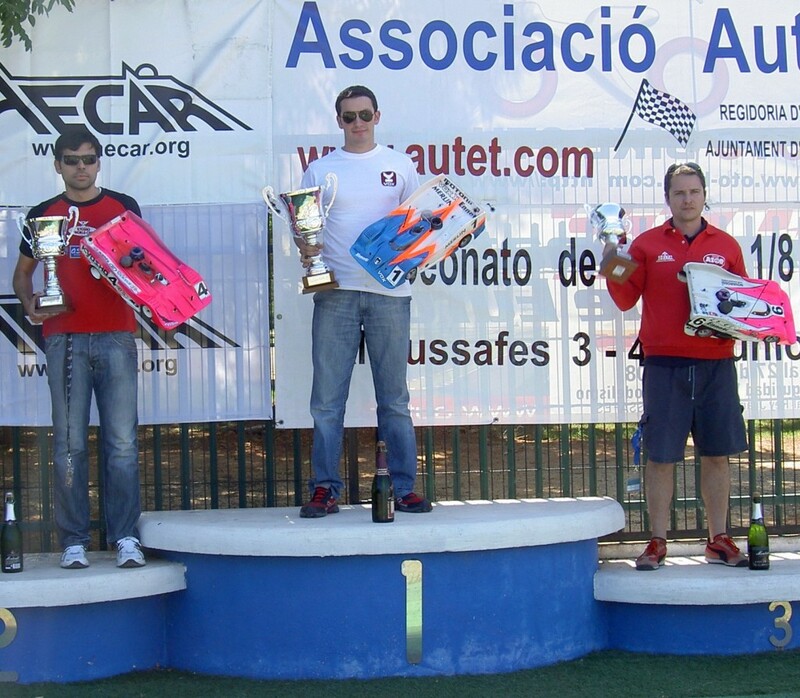 Oscar Cabezas TQ’ed for this race making over 10 TQ’s in a row in the Spanish Championship. The final was really disputed. In the very first laps, Oscar realizaed that he had not the proper engine tunning, having a rich carburation. So that he decided to have a conservative fuel strategy, what made him refuel twice more than his direct rivals. Eventhough he managed to do most of the final in 1-2nd position. The second round for Spanish 1/8th Onroad took place yesterday at Almussafes, Valencia. Oscar Cabezas with his Vox engine fueled by Merlin Pro-Racing made 4 of 4 in the qualy giving no option to his rivals. Weather forecast was not really good, but finally the Weather Man was wrong and there was no problem during the whole weekend. The main final had not big history in the first position. Óscar Cabezas started 1st. and was followed closely by Nacho López who had a different fuel strategy. Right after the Tyre Stop, Nacho López had a mechanical trouble and could not fight for the victory. 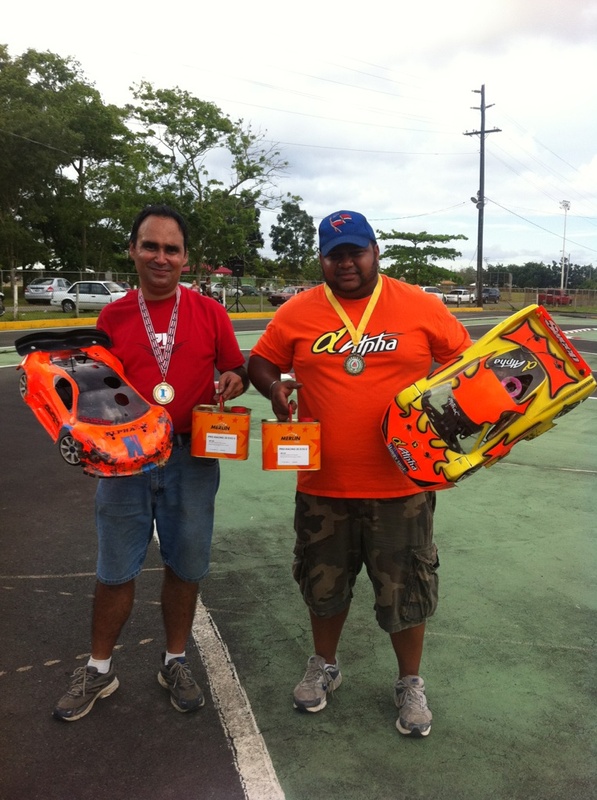 The first Round of 1/8 Spansih Nats took place last Sunday at Parla track. This season is introducing some elements, like the strict tyre control and the mysterious “electronic nose” A kind of chromatography device, designed to reveal any tyre additive. Oscar Cabezas actual Champion, took the pole after winning the 4 qualifying rounds with authority, followed by C. Peracho and Nacho López. Right in the start of the main final, in the first corner, C. Peracho hit Oscar Cabezas car, causing severe damage.